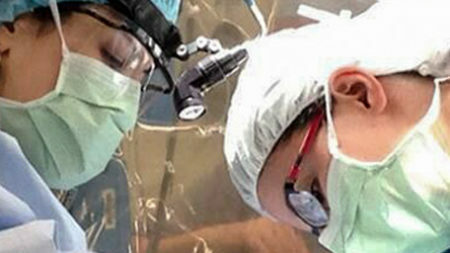 The Division of Cardiac & Thoracic Surgery at the University of Virginia is one of the major thoracic surgical academic centers in the country and has one of the most highly competitive and desirable cardiothoracic training programs. Each year our cardiothoracic surgeons perform over 2,000 procedures – more than any program in the Commonwealth. Our results have been consistently superb, despite the fact that many of our patients are considered to be high-risk. 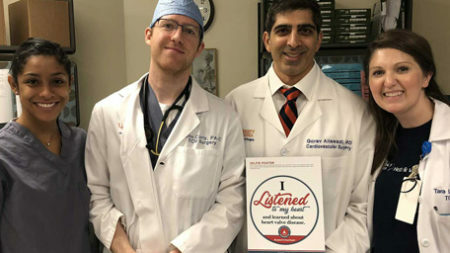 The 6-year Integrated Thoracic Surgery Residency program at UVA, is designed for residents entering directly from medical school for training in cardiothoracic surgery. The traditional residency program consists of two, continuous years of clinical training in adult cardiac, general thoracic, and pediatric cardiac surgery. The Division of Thoracic & Cardiovascular Surgery has a number of active basic, translational, and clinical research programs. Within each of these programs there are opportunities for graduate student research, post-doctoral fellowships, resident research fellowships, and research experiences for medical students and undergraduate students. 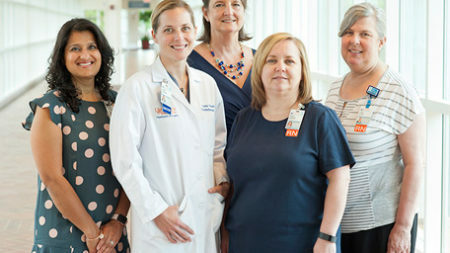 The University of Virginia Health System includes the School of Medicine, the School of Nursing, extensive research facilities, and the tertiary care of University of Virginia hospital which has more than 600 beds. The hospital has been ranked the number one hospital in Virginia for the past two years, and Becker’s Hospital Review rated the UVA Hospital in its Top 100 for 2017. In 2017, UVA’s Cardiac Program was rated as a Top 50 program by US News & World Report. Our vision is to provide innovative and compassionate surgical care to our patients based, in part, on novel clinical and research discoveries pioneered at UVA. This vision can only be realized by engaging friends of thoracic & cardiovascular surgery to share in and support our missions of world class clinical care, cutting-edge research, and innovative teaching.